It is an open secret today that the information provided on labels is decisive for the consumer’s choice. This is why companies are carrying on innovation in this area by moving more towards electronic labeling and smart packaging, which are new levers for increasing customer loyalty and increasing sales… In 2018, businesses must face the challenge: to better meet consumer expectations. This is particularly the case for agri-food stakeholders who are facing growing demands for transparency and traceability of their products. Companies are now realizing the interest of electronic labels. In 2018, two trends in food manufacturing process transformation stand out: electronic labeling, and transparent labeling. The companies that combine them will be able to make the most of it and benefit from an undeniable competitive advantage. The demand for transparent labeling is no longer the preserve of consumers who adopt healthy lifestyles. Especially, this method is by law obliged for some high-end domains like organic foods. Nowadays, consumers are more and more uncompromising when it comes to the quality and origin of the food products offered to them. The Kerry Group firm conducted a study whose results confirm this observation, for 74% of consumers, transparent labeling is a determining factor in the act of purchase, and 90% of consumers who read labels do not see disadvantage to paying more for products with transparent labeling. This movement requires brands to adapt their practices, so that they are in tune with the aspirations of consumers. Walmart has been able to significantly increase its sales since the launch of its Great For You series: launched in 2012, which aims to be healthier, better quality and more transparent in terms of labeling. The Consumer Goods Forum (CGF) network, composed of 400 companies in 70 countries, also announced in 2017 its intention to focus on the transparency and simplicity of food labels by 2020. Aldi is also surfing this wave and in turn plans to remove 200 additives and preservatives from its collection, a way to tell customers of this discount distributor that it is attentive to their requirements. More companies are on their way to follow. Consumers see electronic labeling with a good eye. For them, it is synonymous with traceability, transparency and respect for the customer. For their part, producers rely on electronic labeling to strengthen customer engagement and attract millennial consumers who are very conscientious in terms of eco-responsibility. The QR codes, for example, lead the user to a website that provides, in addition to the mandatory information, information on allergen inclusions, the durability of the product, its level of GMOs or pesticides, or still at the place and the different stages of production, from the seed to the finished product and ready for consumption, through the harvesting, processing and packaging. If you agree with that it’s time to plan for your traceable labeling and smart packaging from now, you can put it on your working list and consult from our experts. 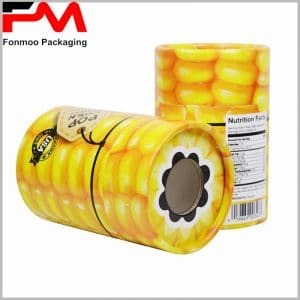 For years, we have been keeping upgrading our production system to meet requirements for clients who demand traceability, transparency and in all, quality in terms of material and servitude of their packaging boxes.